iTransfer Pro is the Pro Version of iTransfer, the No. 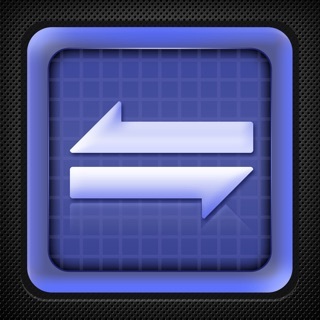 1 App for file transfer on iPhone/iPad. Besides all the features available on iTransfer, the Pro Version has more features, which are essential to business and professional users, including Dropbox, Box, OneDrive, and GoogleDrive access. 1. Download files from your iCloud Drive. Save local files to iCloud Drive. 2. Upload/download files to/from FTP/SFTP/FTPS servers, DropBox, Box, OneDrive, and GoogleDrive. 3. Support both user name/password and Private Key authentication for SFTP. Support both PPK and PEM keys. Support importing keys from/exporting keys to iCloud Drive under iTransfer/keys folder. 5. Manage files, including adding a folder, searching, renaming, moving or deleting files. 6. View supported files, including: PDF, DOC, EXCEL, PPT, image files, TXT, etc. 7. Open files using other Apps through “Open in”. 9. Playback music and videos. 10. Support launching with a password. 12. Share photos on Facebook, Twitter and Weibo. If you have any questions, please visit: http://www.comcsoft.com/Portfolio/our_apps/iTransfer/iTransfer_overview.php. 1. Built for new iPhones and iPads. This program does many things. The ability to FTP files, videos, and photos directly to your iPhone or iPad without going thru iTunes is fantastic. It just worked exactly as advertised for me. The links to many apps on your iPhone or iPad makes a powerfull combination. It has the ability to upload pictures to a network drive which not many other apps do. However, there are quite a bit of crashes in the app as of iOS 8 beta 5. Once these crashes are fixed then I would give this app 5 stars. I do not understand why people like apple, ipad, iPhone or anything Apple. Everything is complicate! Just too accomplish the most simple basic task is either impossible or requires a paid app. I am really sorry I purchased an iPad. You cannot stream from a home network, you need an air printer to print , my HP printer that works with any PC is no longer usable if I want too print with this ......pad. Maybe I can dump it on eBay! Anyone for an iPad Air?